PROLOGUE: This past spring, very much at the last minute, I decided to grow an organic garden in my back yard. It started because I was at Home Depot for some other reason, and they had a display full of seed packets for 50 cents each. That's how you get sucked in. "Only 50 cents each? Cool! I can grow 10 different vegetables for 5 bucks plus tax!" The title captures the four areas that I'd expect to be reporting on constantly. "Veggies"--Well, I'll be growing a few flowers and fruits, but the bulk of the garden has been/will be vegetables. "Varmints"--Birds, squirrels, groundhogs, rabbits, and insects all caused issues this year, and need be factored into the discussion. "ROI"--For me, this isn't just a financial concern, but also time invested and the enjoyment my family gets out of it. Basically I'll be using "ROI" in this thread as a proxy for "is it worth the time/energy/money?" To give a couple of examples, my daughters (ages 9 and 5) really got into it, so I found gardening to be a fun way to spend time with the girls and slip in a little natural science on the sly, but I spent wayyyyyy more time weeding this year than I'd like. Reducing the latter would greatly improve "ROI." "Rotting"--Compost, baby! Let it ROT! I have excellent space and opportunity for composting, and probably much of what gets posted over the next few months will reflect the progress of my efforts in this arena. And of course if this goes well, the need for soil amendments will be reduced drastically. The media don't understand the kinds of problems and pressures 54 million come wit'! Last edited by Ben E Lou : 09-22-2018 at 08:55 AM. Visit Ben E Lou's homepage! Here's what I have going in my favor. As you may also be able to tell from the pic, the yard slopes toward the back fairly significantly, a fact that I leveraged somewhat with a quickly-thrown-together rain barrel irrigation system, and will use much more extensively next year. ABUNDANT SUNSHINE--As you view the pic above, the sun rises to the left, moves across the sky slightly toward the back of the yard, and sets to the right. Even the area a few inches on our side of the fence is in direct sunlight from roughly 7:30am-2:00pm for the entire spring and summer, and the plants farthest from it get direct sun until around 4:30 or 5. EXCELLENT AREA FOR A COMPOST PILE--I can't dig or till in the little nook created by the storage shed and the corner of the fence, because electrical and cable TV lines run through that area. However, the hidden nature of it makes it a great location for composting. No worries about smell or eyesore back there. Behind it is a small treeline and then the golf course that you can glimpse through some breaks in the trees in the pic. PLENTY OF GRASS CLIPPINGS TO COMPOST--Yeah..big yard ftw. SUPPORTIVE/HELPFUL NEIGHBORS--On many fronts, the neighbors just on the other side of the fence from the garden are awesome, and they're pretty much all-in when it comes to helping with the composting effort in particular. The upcoming "liabilities" post would mention the fact that our yard has fewer trees, and thus fewer dead leaves, than any one of them around, and we need "brown" matter to offset all the "green" grass and kitchen scraps. (More on composting details later.) Besides the fact that they're a family of six and they save their kitchen scraps for my compost pile, in the past few weeks they've been texting me before they're about to rake leaves so I can dump the bags in my yard and then they re-use them. Also, they own that fence between our yards. (It was already there. We built the other three sides in our yard when we moved in.) It's on its last legs, and they actually asked us if we are ok with them changing it to a different type. (Non-privacy.) Of course we said that it's 100% their decision, but they insisted that because it affects us, they want to know what we think. The honest answer is that we don't really need "privacy" in the back yard, and both of our back decks are so high that we can easily see one another over the fence as it is anyway. Not to mention that the type that they're likely going to do would allow the sun through, thus giving my entire garden 10+ hours. LARGE RAIN BARREL--A month or two ago, I picked up a 275-gallon IBC tote, cut the top cap in the shape of a downspout adapter, elevated it 2 feet off the ground with cinder blocks, purchased a cam lock-->garden hose adapter for it, and will run drip irrigation from it next year. Last edited by Ben E Lou : 09-22-2018 at 10:29 AM. Oh hell yes. The previous resident at my house had a very nice raised bed garden in the back yard, and I got really excited to take this up when I first moved in, and quickly got overwhelmed and just end up chopping down weeds instead. I'm looking forward to reading this and will hopefully join in next year! I am not without challenges. VARMINTS--Here's a quick rundown of the animal/insect issues I ran across this year. Groundhogs or rabbits (both have been spotted in the back yard numerous times) wreaked havoc on my squash, zucchini, and cucumber leaves early in the season, though I'm happy to report that all the plants attacked did come back and produce, despite nearly all their leaves beating eaten. A cocktail of granulated garlic and ground cayenne seemed to do the trick in keeping them at bay for the rest of the season. ...the ones that stood a little too close to the fence had their entire tops eaten by squirrels perched on the fence, so several of them grew to 8-10 feet tall but with no bloom in the middle. Either squirrels or rabbits (I'm thinking squirrels, as they seemed to ignore the garlic/cayenne smell in other places in the yard as well) ate my cilantro over and over. We were never able to harvest any of it at all. From what I've gathered from talking to a couple of experts here, as well as from what of the classes I've taken, insects are particularly problematic for organic gardening in the NC Piedmont. We had both squash bugs and squash vine borers do some damage this year. HOT DRY SUMMERS--I've never lived in a climate like this. The temperatures are similar to what I experienced in GA and SC, but the frequent summer thunderstorms we had in those states aren't really a thing in this neck of the woods. We got very little rain this year at the time the seeds needed to be watered daily, and had multiple periods of little/no rain for over a week during the summer. I'm hoping the drip irrigation from the rain barrel will be a much better solution to this than the copious use of the sprinkler this summer. 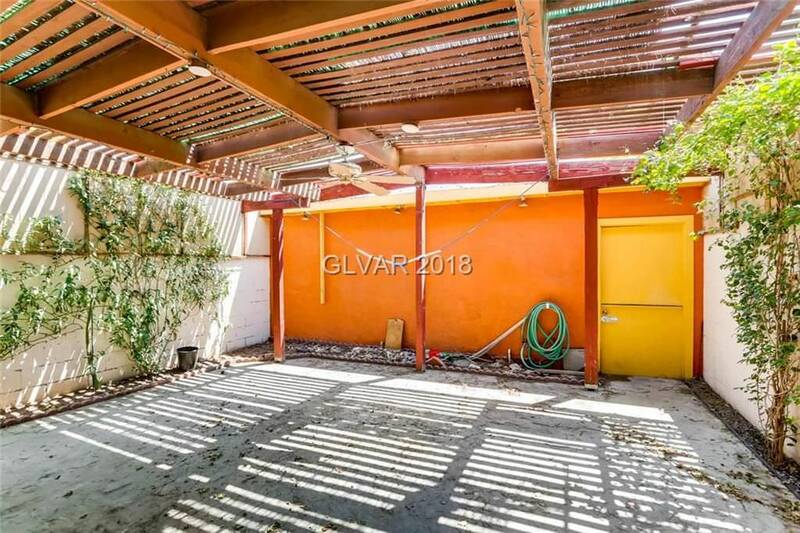 SURROUNDED BY A WEED-Y YARD--Combine a back yard as large as ours, most of which is in direct sunlight 10-12 hours every day, with long periods of little/no rain, it's no surprise that grass is extremely difficult to grow there. At some point, I intend to install a full irrigation system back there, but until I can do that, it's folly to even try to grow grass; its simply too much effort and cost to water it as much as it needs. (I tried one year. Ugh.) Even the lawn service guy who looked at it said something along the lines of, "we can treat it, overseed it, and fertilize it, but you're gonna have to water the HELL out of it to get it to grow and maintain. You need to know that before you hire us." So the back yard, though green in color most of the time, is, oh, 95-99% weeds. Even though I tilled the garden area last year, weeds galore grew there. I'm sure there were tons of seeds in the soil, and plenty of others flying around from the rest of the yard. LONG FAMILY VACATION--We typically take a 10ish-day trip every summer. This year our great neighbors vacationed at the same time, so they couldn't help us out, either. I hired a middle school girl who lives nearby to pick some stuff and water it a couple of times, but it's not the same. Last edited by Ben E Lou : 09-24-2018 at 05:32 PM. Nice! I'll drop in a few tips I've picked up. Following. We save hundreds of dollars a year with our vegetable gardens, which are going on eight years at this location (and thus finally hitting their stride). I imagine the challenges between VT and NC are very, very different... e.g., we have a frost warning tonight. Here's a quick plant-by-plant rundown of what I put in the ground this spring and how it did. BASIL--Massive success. I bought three small basil plants from Home Depot. All produced extremely well and my wife made a ton of pesto. Had to give a fair bit away to next-door neighbors, as it was too much for even freezing the pesto at times. Came to enjoy a basil, bacon and tomato sandwich this summer. Three times I was able to cut off larger branches, stick 'em in the ground, and they grew entirely new basil plants. BELL PEPPERS--Bought seedlings and transplanted them. Decent harvest. No real issues, but didn't produce a ton of peppers. CANTELOPE--Grew from seeds. Thinned to two plants. They produced four tasty cantelopes over the course of the summer. CILANTRO--One plant, bought as a seedling. It grew GREAT, but as mentioned earlier, rodents (likely squirrels) absolutely loved this one. We were never able to harvest any of it, though it continued growing back again and again after being just about completely stripped of leaves repeatedly. I'm going to grow this in a portable container on the deck next year, and bring it inside at night. My wife and I both love cilantro. CUCUMBERS--Seeds. These were interesting. Early in the harvest we were getting a ton of these with AMAZING flavor. They were actually a bit sweet. Our 9-year-old was eating them as a snack, even. The mid-summer, they started becoming yellow and bitter-tasting. Not sure what happened. I couldn't find anything on the internet that looked like what was happening. In case it was a disease or fungus that's in the soil, I'm going to move these to a different location this year and make sure not to grow any squash or zucchini in that area, either. MARIGOLDS--Small plants. I interspersed these flowers throughout the garden, as they repel a fair number of insects. Seemed to work well, as only a couple of plants had major insect issues. These grew like CRAZY to the point that I had to cut part of the mini-bushes out because they were prohibiting sunlight to some other plants. MINT--Seedlings. Egad, I had no idea how invasive this could be. Fortunately I was talking with another home gardener who mentioned how they send out roots and new plants throughout their vicinity, so I checked mine fairly early in the summer before they had spread too much, and sure enough, the roots were running all over the place and tiny mint plants were coming up everywhere. My wife and one daughter both love mint in their tea and with some meals, so I'll see about growing this in a container. ROSEMARY--Seedling. This herb did well, though nothing special. We don't really use rosemary much, so I'm not sure why my wife asked me to grow it. SQUASH AND ZUCCHINI--Seeds. These were doing great early on, then suffered the great groundhog attack. They came back strong and produced a solid crop until squash bugs and squash vine borers destroyed them completely. I'm considering going non-organic with these next year by just using good ol' Sevin dust. STRAWBERRIES--We planted one strawberry seedling because my 5-year-old was with me at Home Depot when I bought the herbs, and one strawberry seedling was misplaced among the herbs. She saw the picture of the strawberry, and we just HAD to plant strawberries. It wasn't expected to produce much until next year. We've probably had around 10 strawberries from it this year. Knowing it was a perennial, I put it in the corner of the garden so I can easily just till around it next spring, and maybe add a few more strawberry plants in that area. SUNFLOWERS--Seeds. Did great once I realized that birds would eat the seedlings. All of the mammoths grew to 8ish feet or taller. If the neighbors change the fence before spring, I should be able to grow a bunch of these. WATERMELON--Seeds. Just two made it, but each one produced a juicy, tasty melon. WILDFLOWERS--Seeds. Home Depot sold a "pollinator attracting" wildflower package said to cover up to 250 square feet, and that can simply be thrown over the area and raked into loose soil. Easy to do right after tilling, and inexpensive to cover such an area. It worked great in the sense that there were tons of butterflies and bees in the wildflower area all spring and summer. I may use some of the wildflower area for composting next year. We'll see. Following. We save hundreds of dollars a year with our vegetable gardens, which are going on eight years at this location (and thus finally hitting their stride). I imagine the challenges between VT and NC are very, very different...e.g., we have a frost warning tonight. Heh. Just checked. It's 88 degrees here right now. Low tonight expected to be 64. We have a small garden we made in our yard. It's a 4 x 6 area enclosed by some boards. We did cauliflower, potatoes, bell peppers, and tomatoes. I don't know what happened to the potatoes. However, the tomatoes did well for a while we got one good bunch of tomatoes. Then the monarch caterpillars came. They destroyed both of the cauliflower plants and almost killed both of the tomato plants. As of right now, we have a bell pepper plant that looks dead, another one that looks similar but has some small peppers on it. Our tomato plants are doing well and just started sprouting some more tomatoes. I imagine that will be our last bunch of the year. Good luck in your adventure. I'll be watching. Heh. I hadn't ever quantified it before, but some quick math says our gardens save us more than $700 per summer. By way of context, we live in rural Vermont. Our county of about 30,000 people has exactly one stoplight, but strong agricultural traditions and diversified farms everywhere you turn. This combination has significant pros and cons for food. Cons: It's about 40 minutes to supermarkets and intriguing restaurants. There is no local takeout, there is no delivery, period. You have to cook whether you feel like it or not. Pros: We are surrounded by farms and fresh food. We grow lots ourselves and buy most directly from farmers. During the summer, we eat many meals where all the meats and vegetables come either from our yard or from the diversified farm two houses down. A substantial majority of our food comes from within 10 miles of our house. Almost all of it comes from within 50 miles. We currently have about 900 square feet of vegetable gardens (three 25x12 beds). We grow asparagus, apples, kale, basil, snap peas, pole beans, carrots, garlic, cilantro, parsley, dill, tomatoes, tomatillos, halloween pumpkins, and lots of flowers and perennials. An additional herb garden has chives, oregano, more parsley, and several kinds of mint. Someday we hope to add fourth and fifth beds for mesclun, onions, blueberries and raspberries, along with a few more apple trees. We do this mostly because its delicious. A carrot fresh out of the ground tastes completely different even than a carrot picked yesterday. Kale picked fresh is sweet and bears no resemblance to the bitter green stuff you find in stores. Eggs that were laid and collected this morning are a totally different color (vibrant orange, not yellow). That growing our own food saves so much money is a side benefit. Wow. My 96 square feet of growing space this year (6 4x4 beds) and planned 210 square feet next year (2 3x30 areas and one 30-foot row) both pale by comparison. That's awesome! Yup. Stuff tastes sooooo much better coming out of the garden. Excited to follow along. I love gardening and have my own 25'x5' plot on the south side of my house in the DC suburbs. For both good and ill, however, the neighborhood is lush with 50+ year old oak trees, so no square inch of land in my yard gets more than 6 hours of sunshine a day. That's too little for a lot of veggies to thrive. But I can grow lettuce, kale, chard and other leafy greens successfully. The limited hours of sunlight keep them from bolting quite as quickly as they would otherwise. It's been so rainy in NoVA this year that even crops that do OK for me--I'm usually able to get a few squash, zucchini and pole beans to grow, but all the rain in August and September made this year's crop really poor. I had one squash and had my first harvest of 30-40 beans just this weekend. Most years, we're already sick of both by now. Sounds like your growing season in NC was better than ours. I'll be following along, looking for hints and ideas as a rookie vegetable growing hobbiest myself. I started container vegetable growing on my deck about 4 years ago, started out with one container for a couple of tomato plants and got a bit carried away and ended up with eight containers spread across my deck. Due to tomato wilt, pests and rookie mistakes I didnt get a great harvest that year. The only successful harvests were a mountain of tomatillos (which we had no idea what to do with so most went to waste) and a buttload of Habanero peppers (which were a pretty bright shiny orange, but made any recipe taste worse). Last couple of years I'd been a bit half-assed, occasional tomato plants but not the full set of containers, so this year was the first full return for Farmer Critch's Container Garden of Bounty. Successes were tomatoes (10 assorted cherry and grape tomato plants provided regular handfuls of tomatoes, and kept Fatty the Groundhog visiting my deck every day), cucumbers (4 plants giving around a cucumber per day over the summer), Jalapenos (two plants, about 100 peppers picked and popped in freezer bags. Only ate one straight from the plant, it tasted of pain and burning), snow peas (from seeds, got a couple of bowl-fulls out of them), and eggplants (there's still about 10 on the plants, but we're sick of eggplants now). Courgettes just about earned their place after a slow start, and Squash plants were a waste of time (two plants produced 1 squash and about 40 billion squash bugs). End of July/Beginning of August I tried clearing out some space for a second planting. Spinach, Turnips, Kale, Chard, Collards and Broccili all from seed. It's not worked out well, the previously mentioned NoVa rainy season held things back and then something came onto my deck and bit off all the leaves (maybe a deer, seen them on my deck before). The plants are bouncing back now, resprouting leaves despite squirrels digging in my containers, but first predicted frost is about 10 days away so probably too late. Looks like the second planting will result in no veggies. Plans for next year are my containers again, plus adding two 12x6 raised garden areas in my back yard below the deck. I thought 2x12x6 was a bit ambitious until reading some of the plans on here. It's wicked kewl science-y stuff. It's an interesting challenge to eyeball the right mix and layering of leaves, grass, water, and kitchen scraps to get that pile heated up to 150 degrees or more. If all goes well, I could reduce costs by $250 or more on soil amendments. That's pretty much it for me. Yeah, there are other good reasons to do it, but those two do it for me. I'm doing an outdoor pile without any sort of framing/containing. From my reading, it seems like if doing it this way is an option for you (i.e. if you have enough space and there aren't aesthetic concerns,) that's the easiest and least expensive method. My pile is over 120 feet from the back of the house, in a corner of the yard shielded by the fence on two sides, storage shed on a third, and tall (over 4 feet in some cases) wildflowers on the fourth. For those unfamiliar with composting process, here are the key pieces as it relates to what I'm doing. The decomposition process, when a "hot" pile is large enough to be self-insulating, produces heat. 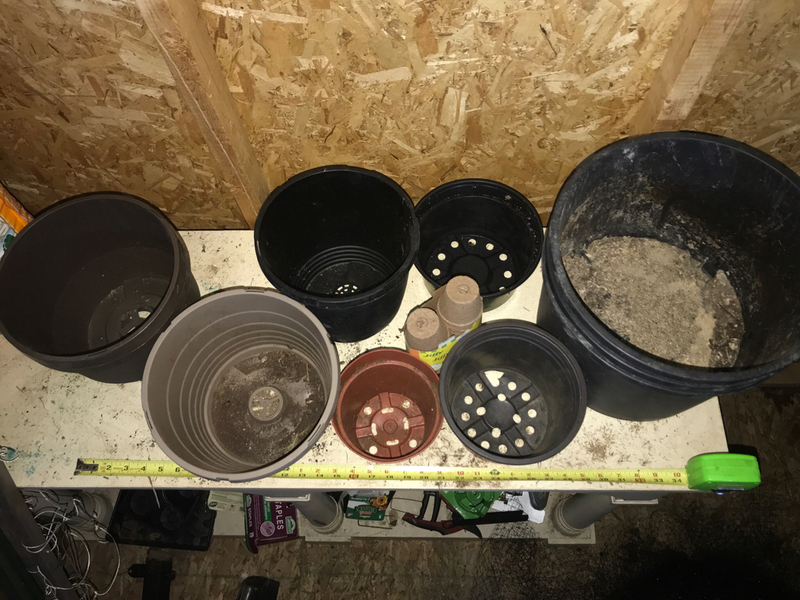 I'm shooting to maintain a temperature of 140 degrees or more, because 140 is consistently touted as the temperature above which weed seeds are killed, and a fair number of those are/will be in my pile. Adding a bit of water and dirt is recommended when building a pile--something I've done previously, but forgot to do today when I expanded my pile greatly. We'll see if that hurts me. I have virtually no dead leaves in my yard--not even enough to be bothered with raking them, so I have to get them elsewhere. I've previously been collecting them from my next-door neighbor, but today (lawn waste day in my part of Greensboro) I went all-out: took the back seat out of the Sienna, covered the bed with trashbags, dropped the girls off at school at 7:15, then rode throughout my neighborhood until I'd filled the back of the vehicle with bags of leaves. Starbucks keeps their coffee grounds for gardeners. Apparently, those things are GOLD for compost piles. A couple of weeks ago I went around to six nearby Starbucks (yes, there are six of 'em within 3.5 miles of my house. I live in a yuppie-land...) and filled the aforementioned van with bags of grounds. The main part of my pile right now is roughly 6 feet by 6 feet, and 2.5 feet high. Ideally, a pile should be turned when the temperature of it drops, roughly weekly, so I probably don't want mine to get much bigger than that. I may create a second pile next week with another run through the neighborhood. We'll see. Last edited by Ben E Lou : 09-24-2018 at 07:39 PM. Golden, right? Well, I didn't feel like the pile was large enough. More on that in my next report. Time to respond to some comments first. Last edited by Ben E Lou : 09-25-2018 at 06:47 PM. Better, but not as good as I would have hoped. Definitely not having as much sun is a challenge. Our next-door neighbors tried to grow on the other side of the fence and didn't fare well at all, likely because of the lack of sunlight. I started container vegetable growing on my deck about 4 years ago, started out with one container for a couple of tomato plants and got a bit carried away and ended up with eight containers spread across my deck. Due to tomato wilt, pests and rookie mistakes I didnt get a great harvest that year. The only successful harvests were a mountain of tomatillos (which we had no idea what to do with so most went to waste) and a buttload of Habanero peppers (which were a pretty bright shiny orange, but made any recipe taste worse). Heh. Growing stuff you don't like to eat just 'cause you can? Yeah..I can see me doing that. I mean, do we *really* need rodents???? I guess this is a good time to share my thinking on my general layout for next year--specific plants and locations subject to change, of course. Each cell in Excel represents one square foot of land. The green areas are where I plan to grow stuff. The brown ones are just walkways that will be covered in landscape fabric and mulched over for near-100% weed prevention. (The 3-foot-wide walkway in the middle probably ends up being two feet if you turn me loose in the seed department, though, because I'll want another 30 square feet of growing space when all is said and done. Let's just be honest. ) Note that there are essentially six "rows" where root systems will begin. I intend to lay the drip lines from the rain barrels straight down those rows, and seed/plant in the areas right by the holes in the line, so I don't have to use city water to keep the seeds/seedlings moist in their critical times. Last edited by Ben E Lou : 09-25-2018 at 12:08 PM. Your composting plan sounds great. Many farmers here believe in and talk about healthy soil: soil that is rich not just in the right kinds of nutrients but also in organic matter and bacteria. If there are horses or cows near you, I'd recommend filling the back of the Sienna with that too. Cow manure is best, but horse manure will do just fine and is usually free. Enough natural fertilizer and there will be no need to buy soil amendments for a home garden. Above is my private courtyard setup soon. I'm wondering if it's possible to have a dwarf peach tree in one corner, and maybe some other plants? I like the idea of planting some things there once I fully move in. Sure, but you'll need to find plants that fit the conditions. It looks like dry sandy soil (?) and mostly shaded, so you'll want to find plants that are comfortable with that profile and with whatever climate zone you are in. Golden, right? Well, I didn't feel like the pile was large enough. More on that in my next report. COMPOSTING--Go Big And Get HOT! The garden will be roughly 400 square feet total, 240 of that growing space. In order to get 2-3 inches of compost, it's ~40-60 cubic feet of compost for growing space only, ~70-100 cubic feet for the whole area. The pile I had as of the weekend was maybe 4x5, and 2ish feet high--only 40 cubic feet, and of course as everything decomposes, it's going to shrink. This past weekend being the first one after Florence in our significantly-wooded neighborhood, there were lots of leaves to rake (well, for other people,) and twigs to gather. Coming home from a late Sunday afternoon errand, I couldn't help but notice the dozens upon dozens of bags of leaves and grass by the curbs, ready to be just WASTED, BEGGING to be composted instead. I wish I'd taken a picture of the back of the van when it was full. There were around a dozen large bags of pretty much pure leaves, and 2 or 3 grass/leaf mixtures (people who didn't rake before they cut the grass, in other words.) Perfect! I've seen conflicting information regarding how much these piles reduce in size. It's currently roughly 90 cubic feet, but I'd expect it to drop to somewhere in the 40-70 range. (Like I said, conflicting info, so wide range.) Point being, I'm relatively confident I'm going to want to do one more pile roughly this same size to fill out my needs. Not sure if there will be enough bags out on the curbs Sunday night/Monday morning to do it on Monday, but we'll see. It's weird being at the mercy of all my neighbors to do this. I'm also completely out of used coffee grounds, so I'll try to find some time later this week or into the weekend to hit all those Starbucks Coffee stores again. Last edited by Ben E Lou : 09-25-2018 at 07:43 PM. Five tomato plants have sprung up in a small area. I'm guessing these are from the poop of all the birds eating them from the vines. , as they're too far away from where the original tomatoes grew to be from fallen ones. Not sure if they'll have a chance to produce before it gets too cold, but kinda fun to see. Last edited by Ben E Lou : 09-25-2018 at 07:48 PM. Very nice work with the compost! I've never sustained attention well enough to use our compost bins as anything other than a raccoon/skunk/chipmunk/squirrel feeder. On manure, a wide variety of paths available, none of them wrong. We use horse manure simply because the neighbors have horses and want to get rid of their waste. He brings it over in the fall with his tractor and dumps it into the middle of the gardens and then I spread it out about four inches deep with an iron rake. It's not well-composted at first but it breaks down fine beneath the snow by spring. The internet will tell you that this is the least efficient way of doing it but it's free so what do I care? Others spread fresh cow manure in the fall or very early spring. Usually this is done with a spreader. If you don't have vehicle access to your backyard, don't bother with this approach. Fresh cow manure is . . . wet. Many farms actively monetize their waste. Some local farms probably sell bulk manure, and probably there is someone with a dump truck who runs a delivery business on the side. Ask around. Other farms might sell bagged, composted manure as a value-added product. And there's the store-bought approach, which is fine too. Either way, generally think about spreading fresh manure in the fall, and composted manure in the spring--probably somewhere in the ballpark of one to four inches deep depending on whether it's fresh (more) or composted (less) and whether the soil is poor (more) or already rich (less). You can work it in a little bit but more and more I'm swayed towards a no- or less-till approach. Don't bury the good stuff. Other common supplemental approaches involve chickens and worm bins. All of this is fine in my view--whatever works best for you with available resources. To be more specific, do we really need these two? I put out a trail camera to see what was messing with my containers and these two were quite brazen. Background shows the other problem, my backyard backs onto a wooded trail so the actual yard is a constant fight against weeds as the woods try to reclaim the ground. So my raised gardens down at ground level might be difficult. Sometime in the past somebody has covered the garden in landscaping fabric to try and squelch the weeds (failed), so I may have to rip that up first. Last edited by Critch : 09-25-2018 at 09:15 PM. Wednesday, 9/26--Measured in several places in the morning. Ranged from 158 to 163. The thermometer probe is 6 inches, and even when I didn't push it deeper than that, it was still in the upper 150s/low 160s. Thursday, 9/27--Last night, for the first time since Florence (~10 days) we got serious rain--probably enough to get the outer parts of the pile too wet. This morning, the temperature at 6 inches was 151, but it was still in the upper 150s further in. Some more rain is expected today. I may end up turning the pile this weekend to get better wet/dry distribution. Speaking of that, turning the pile is another area where there seems to be a pretty wide range of disagreement regarding what is the best practice. Rather than putting specific date/week times on it, I'm thinking that I'll base it on temperature. Given that so far it hasn't been hard to keep the temperature in the 150s, I'm thinking I'll just turn it when the temperature drops to around 145, to give it a few more degrees to drop at the time of the turn before it gets under weed-kill threshold. Rained a lot yesterday afternoon and overnight. 6-inch depth temp down to 147, center is at 153. Looks like *maybe* a little more rain today, then likely dry for a while. I’m thinking if I can wait until Sunday evening/Monday morning to turn the pile again, I can probably pick up some dry leaves to mix into the pile. 1. As has been mentioned, I NEED to kill weed seeds. I hated dealing with weeds as much (if not more) than dealing with rodents last year. 2. Anyone who knows my MP gaming habits knows I'm an optimizer. I find doing it this way to be fun, at least for now. Even though I know 140 is fine to deal with the weeds, I like shooting for 160. Last edited by Ben E Lou : 09-28-2018 at 08:35 AM. Count us among those who throw whatever into the compost bins all season long. In the spring there'll be some dirt in the bottom if I need it. It's the composting equivalent of the tried-and-true "set and forget!" approach to FOF gameplanning. I'm also completely out of used coffee grounds, so I'll try to find some time later this week or into the weekend to hit all those Starbucks Coffee stores again. Another comment on this. I've probably read more than a couple dozen pieces on composting, helpful hints, etc. Coffee grounds are mentioned quite frequently as composting/gardening gold. However, at least in the things I've read, it's extremely rare for someone to mention "oh yeah...just go to Starbucks and you can get all the grounds you need, and at no cost." Anyway, here's what I got yesterday, and a close-up of what's written on them for more info. Last edited by Ben E Lou : 09-28-2018 at 11:59 AM. As I mentioned earlier, the NC Extension service has been an outstanding resource for me. Besides just their web site--which gives a ton of detail regarding climate, terrain, and soil not just for the state, but is county-specific (which matters here...we've got mountains, piedmont, and coastal plains here, and even though, say, Charlotte is only 90 minutes away and both are piedmont, there are still some fairly significant differences between here and there)--they offer free classes several times per week on various aspects of agriculture. I've attended two of these classes so far, and both were gold mines of information, though one turned out to be more specific to my needs than the other. Learning and following best practices will lead to best results in your vegetable garden. Topics will include how to prepare the soil, the selection and timing of vegetable varieties, good upkeep, and using integrated pest management techniques to control insects and diseases organically. Growing your own food can be economical, educational, and fun. This course ended up being a near bulls-eye. In fact, in pulling up my notes from that class to write this entry, my only regret is that I didn't refer to those notes more frequently as I did my garden this year. I specifically recall when I came home and my wife asked how useful the class was, and my response was "it was overwhelmingly excellent," in the sense that there was a ton of outstanding info--enough to overwhelm me. Some key notes from that class boldfaced, and some comments today on those. Indigenous soil here tends to be low ph and clay... ideal ph is 6.2 to 6.7 for most vegetables....our indigenous soil typically runs from 5 to 5.5.--Why on EARTH didn't I put down lime, then? It's a cheap and easy solution to this. The only reason I can think of that this didn't happen is that because I was drinking from a fire hose of information at that class, it just slipped my mind how important this was. crysanthemums and marigolds for bug prevention--Totally missed/forgot about mums. I did put a fair number of marigolds throughout the garden. don't guess - soil test--Didn't do this, even though they provided packets to collect soil and send. (The extension service does this at no cost from 4/1-11/30, $4.00 in peak season of 12/1-3/31.) Pretty sure I didn't simply because the class was on April 18th and I was planting on April 21st. I do intend to do this soon for next spring. The testing gives recomme Andations for amending soil for ideal ph. I may need that. Yeah, sounds like ph matters, eh? I have pics of 48 powerpoint slides from this class. What's the easiest way to share all of them? I don't want to have to link to each of them individually. I'm sure there's a free service somewhere where folks could scroll through them if so desired. The only "quarrel" I had with this class is that the leader focused heavily on 4x4 raised-bed/square-foot gardening, which seems to be a superior method for those who have limited space (and if they want a larger space, are willing to drop significant cash on wood and spend a good bit of time building.) However, with space not being a limitation for me, I can do rows. Spring and summer gardens are wonderful, but fall is a special season for gardening in the Piedmont! This is the perfect time for planting, transplanting, and starting fall-flowering containers - after the long hot summer, cooler temperatures make it easier on the plants and on the gardener too. Simple seasonal chores like winterizing tools are also on the list, to help you be prepared for future gardening seasons. This one was useful, but not the near bulls-eye that the first one was. It wasn't that the information given wasn't as excellent as the vegetable gardening class; it was just that they covered some things (like planting trees, shrubs, and bulbs) that hold little/no interest for me. Still, it was worth my time to attend this class, as there were definitely some vegetable garden takeaways--not to mention the fact that they gave out soil testing kits, which I intend to use this time. Finally, there was good information on maintaining fescue lawns, and I've got ~5,000 square feet of fescue in the front of my house. Last edited by Ben E Lou : 10-03-2018 at 01:44 AM. 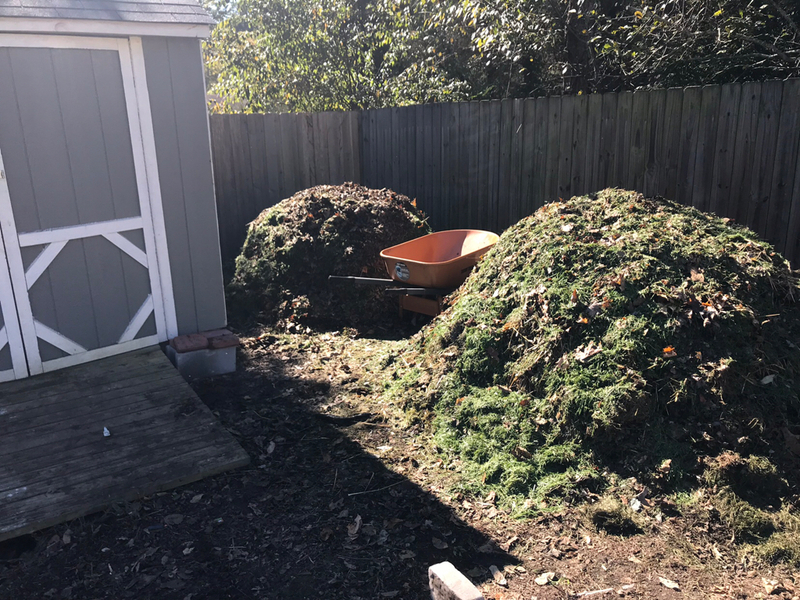 I gathered a bunch of leaves and grass from in front of neighbors' homes on Sunday night and built a new compost pile yesterday (October 1st). This time I remembered to add some soil and water it layer-by-layer. I checked the temperature this evening and it had already risen to 145. I wish I'd had my camera when I did this. Actually had steam rising from the pile when I turned it early this morning. Quite cool....errrrr hot! I put up a little bird netting *near* (not completely over) the tomatoes. I'm told that in some cases birds will avoid the vicinity of the nettling because it looks like something that could entangle them. We'll see. Both compost piles measured in the upper 140s this morning. I don't recall if I posted about it, but I scattered the remaining broccoli seed in an area where there was no longer anything growing. It's starting to germinate. The "green" (growing) areas in the existing garden, where I amended heavily this spring. The "brown" (walking) areas in the existing garden. That area was tilled, but only slightly amended, so I suppose it could be quite different from the growing areas. The front yard. Looking to improve grass there. 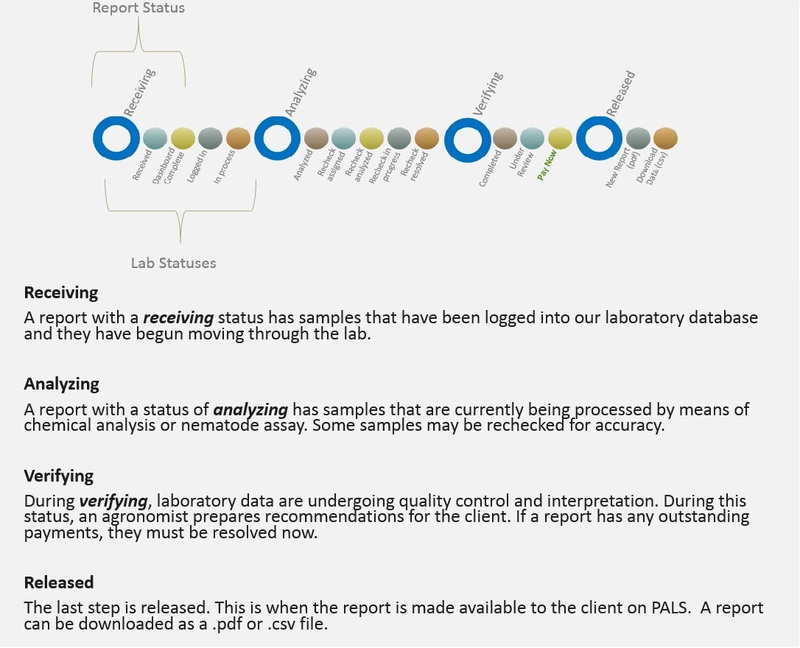 Looking forward to getting the report from the sampling. Gathered a bunch more leaves and grass Sunday evening from around the 'hood, adding to both piles and also turned both on October 8th. I wonder if I haven't been watering the piles enough. Temps were in the mid to upper 140s in both piles yesterday, but then it rained some in the evening, and both were in the upper 150s. One spot even measured 165! My soil samples arrived in Raleigh on 10/4. Haven't heard anything yet. Bird netting appears to be working. I've gotten two solid harvests of cherry and grape tomatoes (picking every other day,) and finally got a larger one to ripen without being pecked. 1. The accidental tomatoes (this is about 6 plants) are continuing to grow well. I'm going to put some stakes and and a cage in the area and see if we can get a harvest out of these before it gets too cold. 3. I don't recall if I mentioned this, but mid-summer, a rodent took a bite out of one of my watermelons. I never picked it up off the ground, and another plant has grown from it. Kinda fun. ...until Florence came and got it too wet, dropping the internal temperature into the 120s. That was back in mid-September. And now here we are again. Both piles are in the upper 150s/lower 160s as of this morning. We're expecting 4-6 inches of rain from Michael over the next 36ish hours. Just logged into the state's system, and I'm wayyyyyy too excited over the fact that my soil sample's status is "Verifying--Under Review." Pretty much every remaining plant took damage from Michael. 4+ inches of rain just yesterday, and wind gusts of up to 50ish mph at our house. Three of the four tomato cages toppled over, some things (like tomatoes) were blown off the plants and into the mud, the young broccoli was no longer standing upright but was instead lying flat on the ground, etc. I attempted to prop up some plants by packing in extra dirt last night. Left the house before light this morning (still no power,) so I don't know how things are looking right now. It's possible that the 2018 garden is a total loss, though I'm guessing we'll recover at least *something*. The tomatoes appear to be ok as plants (i.e. they're not dying.) It remains to be seen if they'll produce any more. Just about every younger plant of the group I planted in August--other than the aforementioned broccoli--appears to be toast. Some of them were washed away entirely. The much younger broccoli I put down in mid-September is basically a washout as well. There's *maybe* one of the six or seven seedlings that may survive. I suppose at this stage we're getting into temperature issues. We had a *rapid* move from full-on hot summer temperatures (highs upper 80s to low 90s, lows upper 60s/low 70s) down to mid/late fall temperatures (highs upper 50s/low 60s, lows upper 30s/low 40s for most of this week). Maybe it'll come back up a bit next week, but we've had little/no 75/55 kinda days. My understanding is that some of the summer plants will slow down/stop producing due to lower soil temperatures. Honestly, I didn't look up which ones. Doesn't really matter to me at this point; whenever I see stuff dying, it'll get added to one of the compost piles. Speaking of the compost piles, Michael was helpful to me in that regard in that there was so much debris on the ground that a lot of people evidently didn't bother to rake; they just used their mowers and bagged grass, leaves, and twigs together. So the stuff I gathered from the curbs Monday morning was wayyyyy more pre-mixed, chopped into fine pieces, and much damper than anything I've gathered. I didn't have to bother with layering or wetting as I dumped another full back-of-the-minivan load onto the piles, making it much faster and easier. And this morning, just 24 hours after doing so, pile #1 was in the mid 150s, and pile number 2 in the lower 160s. Now through Monday, November 5th--Continue gathering materials from kitchen, neighborhood bags on Monday mornings, and Starbucks, and add to existing compost piles. Turn piles weekly. Over the next three Mondays, I'd expect to be able to add enough materials to the piles I have to make the overall production somewhere in the neighborhood of 100 cubic feet of compost. That would be enough to cover the entire planned garden area with 2.5 inches, and leave me around 20-25 cubic feet of it for other projects--flower beds, adding small amounts to areas where seeds are planted, etc. Also at some point in the next three weeks I intend to add lime to the area that I'll be gardening next year in the amounts recommended by the soil testing. Some time in mid/late November once lime is settled, re-test soil for pH. January 1ish-February 28ish--Based on what I've read about time frames and how hot my piles have been, I'm hoping that at some point in mid to late December, the piles will be just about fully composted. Whenever they are, I won't need to do any more turning. If the outer stuff still hasn't fully rotted, perhaps one good turn during this time might be needed. March 1st-March 29th--Gather/add kitchen scraps to compost piles once again, taking care to have a mixture of finely chopped and larger pieces. Basically this is where I'll be adding some free nitrogen-based slow-release fertilizer to the compost in preparation for planting. March 29th-March 31st weekend--(Will probably have Friday off since the kids are out of school.) Spread 2-3 inches of compost over the entire 400ish square foot garden area, depending on how much I have. Till into the soil. Put down weed-preventing fabric, with mulch on top. April 20th or 27th weekend, depending on temperatures--Plant! Oh...I just realized that I never posted the soil testing results, probably because they came in the day we would lose power and be without it for over 24 hours. They provided extensive information--probably more than I know what to do with. Probably the most important thing I learned is that yes, the soil in my back yard is acidic. The three areas back there from which I took measurements all came in quite close to one another in pH: 5.8, 5.8, and 5.9. (Interestingly, the front yard was 7.0. I did put lime down there a couple of years ago.) The extension service recommends roughly 6.5 for vegetable gardens, so I'll be adding lime at their recommended levels soon, and testing again a few weeks later. So this happened tonight. ROI = THROUGH THE ROOF! Last edited by Ben E Lou : 10-19-2018 at 08:50 PM. And the garden can take the damage. We've had three floods over the past eight years. It can take a bit of work to restore the healthy organic layers, which are sometimes stripped away in heavy rains and floods, but it seems to me that with all the composting you'll come out of it just fine next spring! Heh. When I went to bed last night, the forecast was for a low of 36ish. At 3:37 am, the NWS issued a Freeze Warning for "NOW UNTIL 9AM." When I woke up at around 4:15ish, it was 30 degrees. I'm sure the farmers in the area really appreciated the notice. I'm assuming this is going to put an end to pretty much everything but the broccoli. Plants still blooming had frost on their flower petals earlier this morning, even. We had another surprise frost when we woke up on Wednesday morning. By Thursday morning, it was clear that all warm-weather crops were done, so I pulled them up, leaving just four broccoli plants and one strawberry plant (perennial). Thursday evening was the composting class mentioned above. I attended it and mostly it confirmed what I've already been doing. The biggest new information I received is that the city-made compost ($20 per truckload) has some sort of national teh awesome composting certification. (i.e. it's not run-of-the-mill industrial-made compost; it's the real deal.) It's not available until April, but I intend to enlist the help of a neighbor and get some then. I put down 40 lbs of lime on Thursday after pulling most of the plants up. Their primary purpose will be to alleviate water run-off. Both compost piles were over 155 degrees the last time I measured them (Thursday, I think.) I'm looking to turn the and add to them significantly this weekend. Built ‘em both up significantly this past weekend. Both are now over 3 feet high and around 7 feet in diameter. Temperature in the upper 150s/low 160s. Also at some point in the next three weeks I intend to add lime to the area that I'll be gardening next year in the amounts recommended by the soil testing. Lime is complete. Did that on 10/25. November 6th-December 31ish--No additions to existing compost piles. Let what's in them rot, only turning if/when temperatures fall below 140 degrees. Gather leaves as available but do not add to existing piles. After using them as a light mulch over the entire garden to inhibit weed growth over the winter, just throw the rest in a big pile for later use. (i.e. starting a new pile in spring/summer when all I have is grass/weeds and need that "brown" matter.) I've got the entire garden area (other than the part that's under compost piles, of course,) covered with leaves now--mostly shredded ones. However, I'm not sure what I was thinking about where I'd be able to store a big pile of leaves. until next spring. I *might* grab a few more bags and stick them under the deck, as my wife rarely goes in the back yard during the winter, so perhaps that might fly since she wouldn't have to look at them. One other thing I'd like to do is actually pull back the leaves, put a half inch or so of used coffee grounds directly on the soil throughout the entire garden area, and then recover all of that with shredded leaves. We'll see if I get the energy to make that happen. Some time in mid/late November once lime is settled, re-test soil for pH. Upon further reading, I'm probably going to wait a bit longer for this--probably early to mid March--as it takes a few months for lime to raise the pH. There has also been a change in my projected planting dates and process, as I've discovered mini-greenhouses and read great reviews on them. I'm probably going to get this one. Combining that with earthen biodegradable planting media, and I'm thinking I can plant as early as mid-March, then transfer to the ground in late April after danger of frost has passed. Pile #3 was completed Monday morning, and is up around 145 degrees. The others are in the upper 150s. As you can perhaps tell from this pic, the first two are starting to look a lot more like dirt. Last edited by Ben E Lou : 11-09-2018 at 02:08 PM. Just signed up for several Extension service classes that are scheduled January-April. (Schedule just went up today.) Yes, I'm taking the "Grow Your Best Vegetable Garden" for a second time. As I mentioned above, it was a fire hose of information, so I'm wanting to sit through it again. Vegetable gardening is especially rewarding in the Piedmont because we can grow food at least 10 months of the year! The key is good planning and succession planting. January is the perfect time to start getting ready; let’s talk about the simple ways to get the most out of your personal planting space. It’s time to start planning, that’s the key to enjoying the taste of your own home-grown tomatoes. That’s all we’ll be talking about in this session – proven tips and techniques for successfully growing America’s most popular garden vegetable (or is it a fruit?). Get ready for tomato sandwiches all summer long! Have a sustainable lawn by knowing and using good growing practices all year, it will save you time and money as well as reduce environmental impact. Establish a healthy stand of grass with good planning and sensible management - you’ll have a beautiful lawn and minimize issues with weeds and diseases. Learning and following best practices leads to best results in your vegetable garden. Topics will include how to prepare soil, the selection and timing of vegetable varieties, good upkeep, and using integrated pest management techniques to control insects and diseases organically. Growing your own food can be economical, educational, and fun! One of the many joys of gardening is the chance to observe and support nature. Birds, butterflies, and other creatures find needed habitat in our yards – this program is about how to make them welcome. We’ll also talk about some ways to discourage a few of the uninvited guests who may sometimes come to the party.